On November 12, 2016, a panel of judges convened to select the inaugural winner of the Bob & Diane Fund grant. The Fund received 83 entries from 22 countries, both still photography projects and multimedia relating to Alzheimer's and dementia. 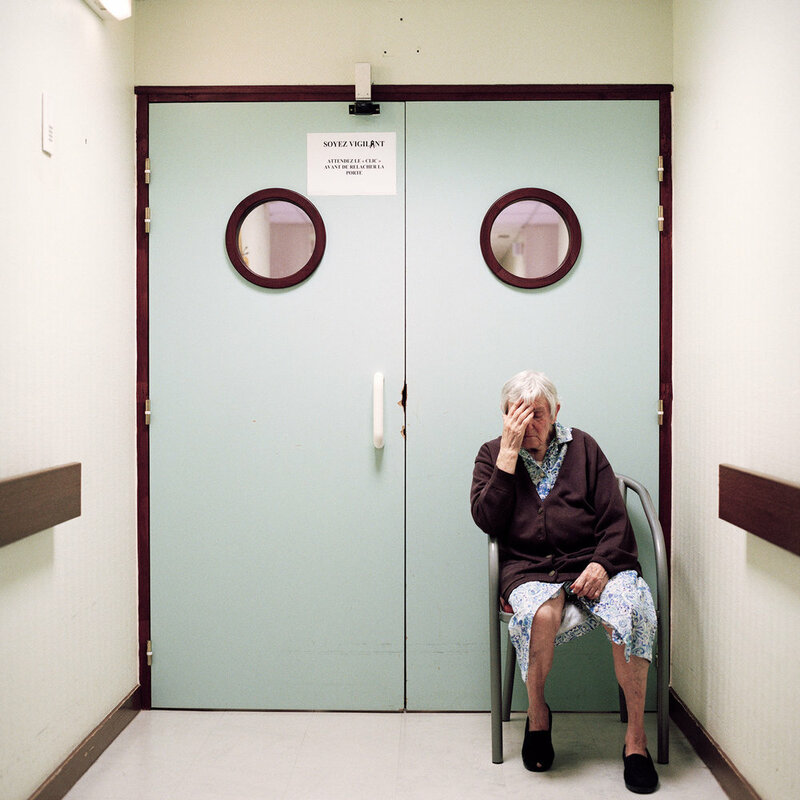 After 4.5 hours of deliberation, the panel of judges selected 'Into Oblivion,' a photographic project by Swedish photographer Maja Daniels looking at day-to-day life within a French geriatric hospital. "This is a modern, fresh approach. Each picture takes me to another step," said MaryAnne Golon, Director of Photography at the Washington Post. "I'm not just an observer. I'm a resident, trapped with these people behind the doors" said Chip Somodevilla, Senior Photographer, Getty Images News. "The Fund will allow me to finally complete this work by turning it into a publication," said Daniels. "The timing could not have been better and I am thrilled about this news!" 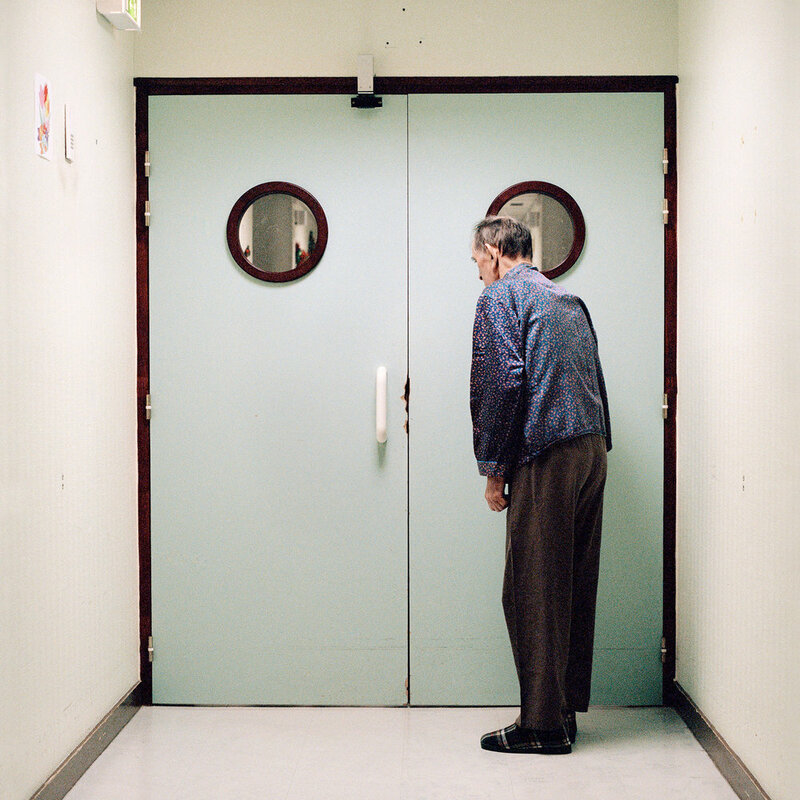 "While investigating the politics of aging in modern society, I have for three years photographed life within a geriatric hospital in the northwest of France. The "Protected Unit" is home to residents with Alzheimer’s disease. Due to tendencies to wander about and potentially get lost, they are confined within the ward. 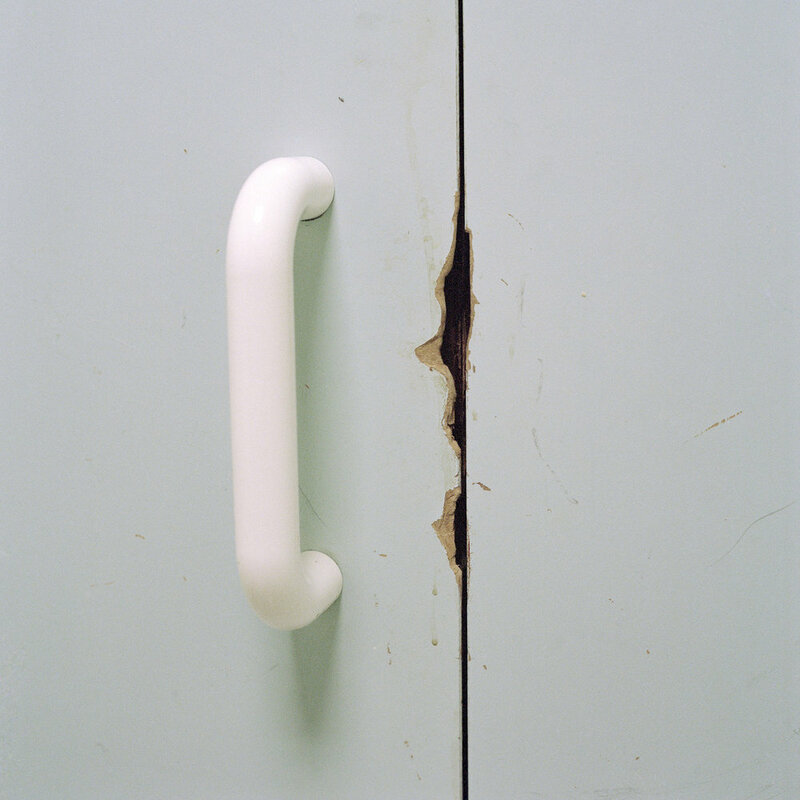 A locked door separates the occupants from the rest of the hospital. 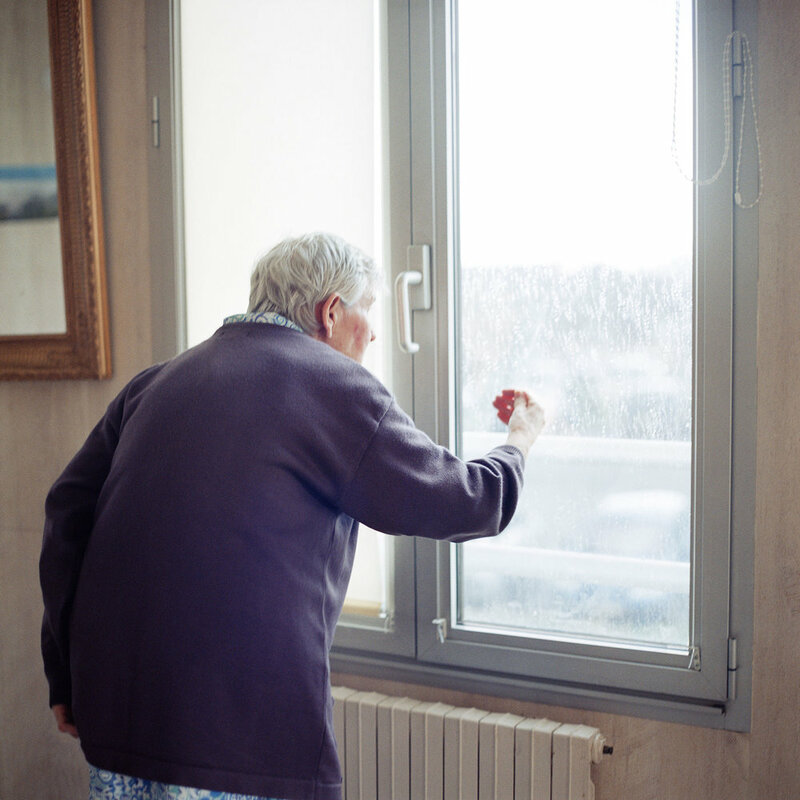 Ruled according to the well established “principle of precaution”, residents in the unit can circulate freely within the secured area but due to a lack of activities and a limited presence of carers in the ward, the locked door becomes the centre of attention for the elders who question the obstruction and attempt to force it open. 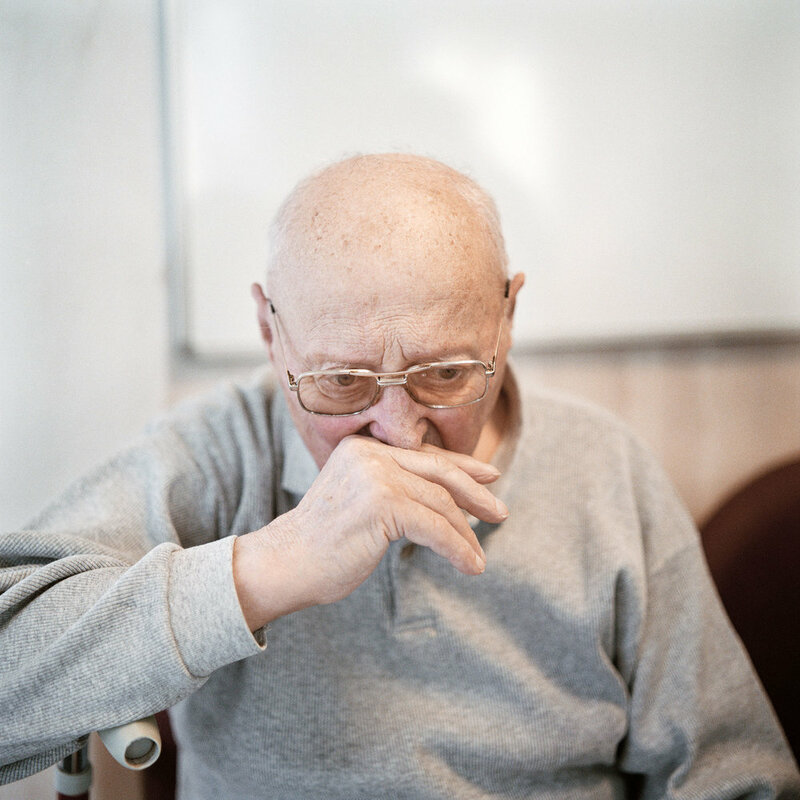 This project gives a rare insight to a part of the modern geriatric institution. It attempts to create a discussion about our institutionalized, modern way of living as well as the use of confinement as an aspect of care." Resident stands in front of the ward’s locked exit. Doors and blocked passing’s are disturbing elements to a person suffering from Alzheimer’s due to the common symptom to regularly often wander about. As a result of the potential risk of getting lost, the ward is confined for security reasons according to the « principle of precaution». Resident’s room in ward. Most people suffering from Alzheimer’s disease live in institutions today. The number of individuals above the age of 60 is expected to double over the next 25 years. Resident sits in the Alzheimer’s ward’s common room. She is talking aloud to someone i can't see. The age-related disease is a mystery to the western world as very little is known about its causes. There is no cure for Alzheimer’s disease although medication has been proven to slow down the developing process of the symptoms. Soup and apple juice, Alzheimer's ward. Resident’s room in Alzheimer’s ward. Seven A.M. in a resident’s room after a long night in the ward. Alzheimer’s disease can cause behaviour difficulties such as aggressiveness, eating disorders, increased anxiety or depressive tendencies. Maja Daniels’ photographic work focuses on identity construction and human relations in a Western, contemporary environment. She uses sociology as a frame of research and approach to her self-initiated long-term personal projects. She is the recipient of numerous awards, such as the 2013 Contour by Getty Portrait Prize, the 2012 Sony world Photography Award and the 2011 Taylor Wessing Portrait Prize. She was a participant in the 2012 World Press Photo Joop Swart Masterclass and she has been nominated for the 2013 Prix Pictet, the 2014 Foam Paul Huf Award and shortlisted for the 2014 Leica Oscar Barnard Award. In 2013 she had her first solo exhibition at Galerie Polka in Paris. Daniels’ photographs have also been included in exhibitions at the Royal Academy of Arts (London), The Photographers Gallery (London), The National Portrait Gallery (London), Somerset House (London), Belfast Exposed (Belfast) and Getxophoto (Bilbao) amongst others. She has received bursaries to develop personal projects by the John Kobal Foundation (UK) and the Arts Council (UK). Apart from her dedication to long-term personal projects she also collaborates with the weekly and monthly press worldwide (including New York Magazine, The Guardian Weekend, FT Weekend Magazine, Le Monde Magazine) and with social scientists, using photography as a tool within academic research.